There are wonderful views of Mt Ruapehu and the native bush reserves from the lounge and deck. Perfectly clean, well appointed property in very quiet location. Perfectly clean, well appointed property in very quiet location. We stayed in summer (which is the off season for this ski area). Beautiful view of the mountain and the alpaca farm next door. We LOVED being able to walk from the apartment to a very nice forest walk, which we ended up doing every night after dinner. The onsite manager was very helpful and friendly. Wifi was appreciated but we needed to sit at the picnic table outside the office to get it on our device. Amazing place, beautiful views (if not cloudy). Amazing place, beautiful views (if not cloudy)... it had everything we need and even a dishwasher. A little dificult to use the spa - as this is a shared facility we did had ro wait to use it. 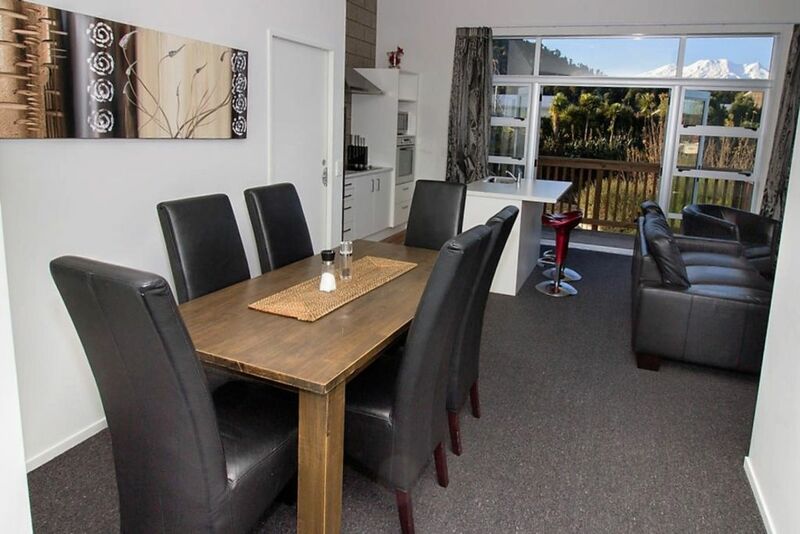 Easy drive to Turoa.. walking distance to pubs and restaurant. Quiet upstairs apartment, would definitely come back.